As we are nearing the end of the first quarter of 2018 CML takes another step into the US market. 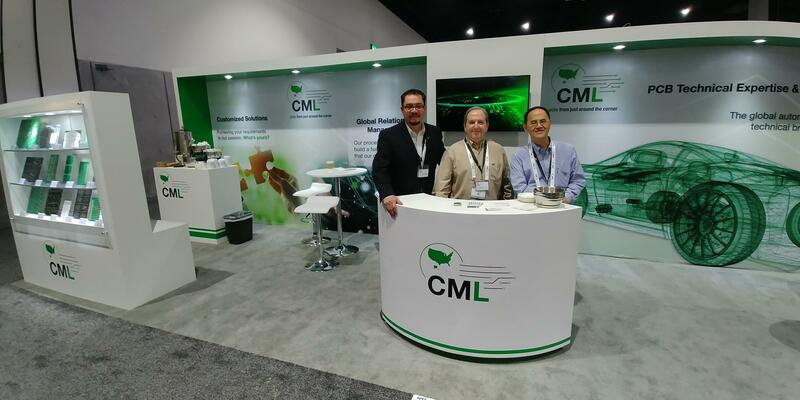 The representatives of CML USA corp exhibited at IPC APEX 2018 in San Diego earlier last month. “It was our very first time exhibiting in the USA and it was a great experience for us. As the first step it provided a platform for the PCB industry to meet each other and let the exhibitors show their new products, technologies and presence in this industry. For CML we understand that when a customer is faced with a challenge, not only do they want the most suitable solutions, but they want it quick. CML is punctual, uncomplicated and most importantly reliable. As we extend CML’s reliable connections, we continue to be close to the customer both geographically and culturally.” Mr. Ivan Wong, General Manager of CML USA corp.